Following an early career in business I completed postgraduate qualification in teaching modern languages in 1985 at London University and subsequently managed language departments in schools in both London and Devon, was involved in Devon County teacher education projects and co-authored a major MFL teacher guidance publication. 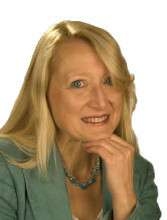 Changing career following a period of illness, in 2004 I qualified as EFT practitioner. I have since practiced part-time in South Molton, North Devon. My further training includes instruction in advanced EFT techniques at a workshop led by Gary Craig himself, training in EmoTrance with Dr Mark Atkinson, NLP training with Kath Temple and EFT Trainer-training with Tam and Mair Llewellyn followed by registration as an AAMET-approved EFT trainer. I complemented my energy-healing capacity with Level 1 and 2 Reiki attunements in 2007. I have continued with regular attendance at workshops with EFT Masters, EFT Masterclasses, Gatherings, AAMET Conference. I became Treasurer to AAMET in 2009, started to co-ordinate AAMET's support for EFT Research, became AAMET Vice Chair in 2013 and have been Chair of AAMET International since June 2014. In 2014 I also started working in partnership with Dr Rani Bora MBBS, MRCPsych, PGCE to deliver EFT Training in Exeter covering the entire South West region. Rani and I held our last joint training in February 2016. Rani continues her practice as Holistic Psychiatrist, and her interest in numerous holistic approaches, including EFT. I'm continuing the South West EFT Training, but based in South Molton, with emphasis on small groups and individualised supportive training. As a parent and carer, I am proud to have been able to support my daughter as she has dealt with major challenges of illness and disability and associated emotional challenges throughout the teenage years and continues to work through them to become a sparkling young woman, following her dreams. My life experiences enable me to understand and empathise with clients, especially families whose children don’t quite manage to plainsail through school, and my background in education ensures that I fully understand how to apply EFT to educational issues, for teachers and students/children alike - both EFT and NLP provide useful solutions and strategies. I also have an intimate understanding of Crohn's disease, auto-immune and fatiguing illness, such as ME/Chronic Fatigue Syndrome or Fibromyalgia, Asperger's Syndrome, the conditions that commonly occur secondary to ASC such as Anxiety and Obsessive Compulsive Disorder (OCD) and the impacts long-term or serious illness/disability can have. In December 2013 I completed my diploma course in Naturopathic Nutritional Advice, which I use to complement my EFT coaching work for clients with health conditions and those seeking to lose weight. Apart from these particular facets of expertise, I can help anyone apply EFT to any personal performance or emotional issue either by telephone, with email support, or in person. My approach is to respect and empower individuals by demonstrating and teaching some great strategies for dealing with life’s challenges, whatever form they present themselves in! I look forward to helping you use EFT and NLP to deal with any challenges your own life holds, find more happiness and freedom from negative emotions, and be free to be you! Please ask for further details about coaching/ therapy, free informative talks and demos; EFT training and supervision/mentoring, workshops and tapping groups, or a project with a specific organisation. I link with other practitioners to provide workshops and tailor-made events for groups or organisations. 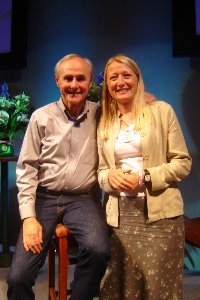 I maintain my own EFT training to the highest standard and regularly attend national conferences and workshops.